Lisa and family Merry Christmas and have a wonderful New Year! Last year I purchased a Juki sewing machine from Lisa. It was safely shipped to me. I was able to easily follow the manual for threading and oiling the machine. Everything else was second nature to me. I had been sewing on a Bernina for years, but wanted a good straight stitch and an accurate scant 1/4″ foot. The Juki delivered and I have not used any other machine since this one arrived. I recommend this machine and appreciate the detailed information Lisa gave us last year about the machine. Coupled with the information provided and Lisa’s recommendation, I place an order and have been sold on Juki ever since. I asked Lisa this question, however, I’d appreciate your input as well. I like to sew weighted blankets for children with Autism and other sensory issues. 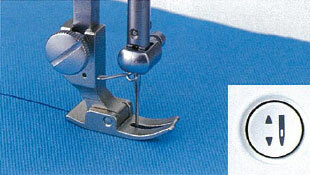 Will this Juki handle heavy sewing needs? She sure sounds like an amazing machine. I can’t do it this year, but maybe next year. Merry Christmas and thank you for all the wonderful things you do each year. My children and amazing husband granted my Christmas wish! 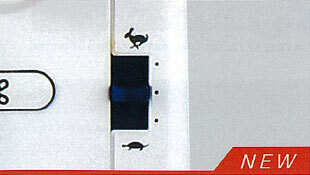 They are ordering my new Juki machine tonight. Happy New Year everyone. I’ve had my Juki for a few years now and use it every day—love it! My Bernina is packed up and only used for retreats or if I need to zigzag something. I never thought another machine could outdo my beloved Bernina, but the Juki is so fast, easy to use, and the scissor feature is awesome! Merry Christmas Lisa and Merry Christmas to your family and staff! Family run businesses are the best! Wow! To have one of these would be a dream. I would be so grateful and i would really consider starting a cottage business. I purchased my Juki from Lisa last year. I cannot live without it. Ive been sewing for 50 years and this is the best machine I have ever used. I decided I dont need all the bells and whistles that come with other machines that cost more than my first car! I highly recommend this machine. You will not regret it! Purchased my Juki a few years ago and love, love, love it! Had wanted a machine that actually stitched a straight line, and this one does it to my standards. Packed my top of the line Pfaff away and bring it out only when i want to zig-zag. Lisa, Can you also tell all of us as to which table you set your machine on? I need to get a correct table for mine! Thank you for all you do for the Quilting’s world! Merry Christmas and Happy New Year. See you at Road2CA? For retreats I use a SewEzi portable table. 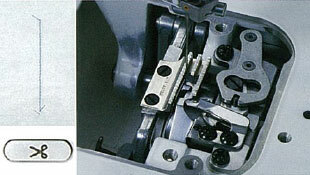 You can request an insert for just about any model machine and the insert fits properly. For my non-portable sewing cabinet at home, I had a local shop that cuts plexiglass prepare an insert for me. 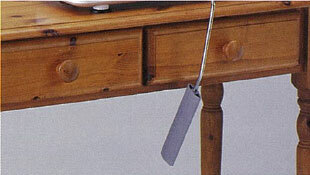 If I ever get around to downsizing, I will simply use the Sew Ezi table. It is all I really need and is very stable. Good luck in finding just the right set-up for yourself. I am sure you will enjoy your new Juki. Merry Christmas and Happy New Year. Thanks for the Triangle Gatherings. I had so much fun putting together my 4″ squares. Lisa thank you for posting the patterns. So intrigued by the description…especially about not having to hold the threads. My $10,000 Bernina 780E fights with me constantly. If I could invest in one right now, I would do it just to avoid that irritant! Just finishing my Triangle Gatherings blocks and have loved keeping up. Now to sash and quilt! Happy holidays. I love my Juki! It stitches great! It is metal, which I love! My last sewing machine had plastic hinges that broke off. I do not need 100 stitches. I don’t want computer parts that go bad or need updating. I wanted this machine for the same reason people love featherweights. It is reliable and wasy to work on. Only it has a huge area for big quilts. And it comes with lots feet. I love this machine. I have had my Juki for about 5 years now and couldn’t live without it. I even convinced a friend to purchase one and it is now her favorite machine too. Even though it is a solid metal machine with no plastic, it is still light enough to pack up and take to my local quilt shop for lessons. Love my Juki! I love my Juki! It makes a beautiful stitch and it is so reliable. This is a no nonsense machine that I can recommend without reservation – and I have many times. I quilt faster and better using my Juki. I don’t spend time fussing with the tension, there’s lots of room on the bed, and it can really sew – very powerful. Just really love it! I’ve sewn on a Husqvarna Designer II for 17 years. And love it. But I got a Juki this summer as a treat after my divorce settlement (after 34-1/2 yrs he decided he needed a “new life”). I love love love my Juki. My poor D-II hasn’t seen much action since July though. Anyone thinking about getting one needs to do so. You will not regret it. My daughter is a Graphic Designer and was making leather cases for prototypes for product samples. She commented that the Juki “sewed leather like butter “. She owns a Husqvarna and a Pfaff. I love this machine so much I take it to all my retreats and classes. All my piecing is done on this machine and so accurate. Every retreat someone ask to try it and I gladly tell them to please sew some strips for awhile. Everyone walks away wanting one. I always tell them of Lisa’s great deal at Christmas on the beautiful machine that I had the privilege of winning last year. 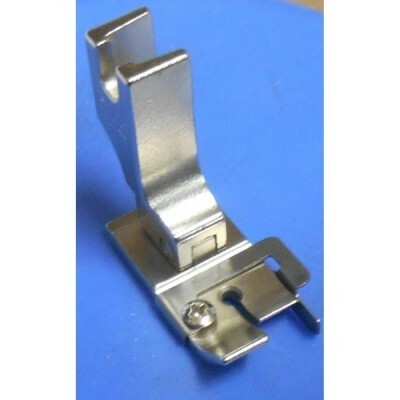 I promise you will love not having to hold the thread every time you start to sew, the auto thread cutter. A friend bought a Juki and loves it…..I have to admit I am very tempted by Juki. Need to take my friend’s machine for a test drive and see if it’s time to buy my Bernina 1260 a friend. Oh, I dream of a Juki. Thanks for telling me that I have set my sights on the right machine! I purchased a Juki the very first time you made this offer! It is an awesome low maintenance machine and I usually choose to sew on it over my Bernina. My only complaint is that I cannot get the automatic threader to work, but that is a minor issue as long I can still see the hole in the needle. I think they have improved that mechanism since I bought mine. Merry Christmas! Happy Holidays! I hope some day I will be able to afford this sewing machine! Until then one can dream! I am planning on sending my sewing machine to my daughter who lost everything in the Thomas fire in Ventura, Ca. Just a note the quilt quild in Ventura,Ca are helping my daughter and others by giving quilts! Very greatful to them. Wow i didn’t kniw anything about a Juki until I saw you sewing on one at the Outer Banks retreat. I gave a Bernina but would love to try piecing with this machine! Merry Christmas, Lisa! After doing some research on various sewing machines, I bought a Juki F600 several years ago as a back up to my Bernina 1230. I immediately fell in love with the Juki………love the hands free arm, foot pedal cutter, many decorative stitches and speed control…….along with the other special features. this is a high quality sewing machine at an affordable price that will last many years. Thank you for all you do for your “family” of Quilters. Hope your husband is doing well. Merry Christmas. Merry Christmas to you Lisa & your family….. And a Happy New Year! One of the highlights of this past year for me was taking 3 classes you taught in Hershey. Loved every minute of it. Looking forward to new patterns and fabrics from you in 2018. Can you tell me if the scant 1/4” foot work on the Juki TL98Q? I’ve had this machine for 25+ years & stitch on it all the time. I prefer it over my Bernina. I will not be ordering a Juki at this time– because I already bought one earlier this year during the Mother’s Day sale and I LOVE IT!!! Merry Christmas and a Happy New Year to you and yours and thank you so much for all you have contributed to the Quilting world! I wish I could afford a machine like this but maybe some time in the future. I love your fabric and designs and what an inspiration you are! Merry Christmas to you and your family and a very Happy New Year! Sounds like an awesome machine. I’ll have to put it on next year’s wish list. Thanks for all you do. I bought the juki 2015 needful things. I too was waiting. As i waited I shopped other brands. Price could be an obstacle, or quality, so went with juki, I haven’t used my husqvarna since. Love it still. I ordered my machine this past year when you offered it on sale. I had been thinking about it for over a year. I’m so glad I got it. It’s everything you claimed. I’m really happy to see there is an open toe quilting foot. I really like to see where I’m stitching, so I’m going to order that as a little Merry Christmas to me! I purchased my Juki last year from Lisa and I love it. I bought it for retreats and classes but find I use it all the time. 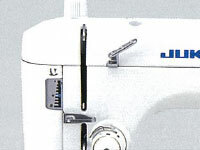 I have featherweight and a Bernina 1090 that I purchased in 1993 and still use it, but my Juki is my #1 go to machine. The stitches are perfect, it goes fast or slow and in between. I love the thread cutter, and the needle threader and everything about this machine. I was concerned about buying a machine I had never tried before, but I can tell you I’m not sorry and you won’t be either… Merry Christmas everyone and happy healthy new year to all. My Juki is my favorite machine! It is a superior workhorse in my sewing room. I love putting binding with because of the speed..every serious quilter should consider this great offer. I used to own an Industrial Juki straight stitch. Best.machine.ever! I loved it so much and I hated that I had to part with it…but, life happened. I would LOVE to own another Juki. It’s my go-to machine. So well built and runs like a charm!!! I bought this machine this summer after trying it out. I knew Lisa would probably offer it once again at this amazing price but just could not contain myself. 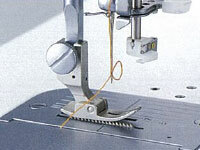 I love to machine quilt and this machine adapts to all threads. 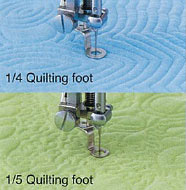 I would love to have the open toe foot for quilting. Don’t hesitate make the plunge buy this machine at this deal and it is a deal! You won’t regret it!! Merry Christmas and here’s to a Happy and Healthy 2018! Thanks for all you do for the quilting/sewing world! I have an earlier edition of Juki Quilters Edition and it runs so well. The wider throat is great for quilting and the stitches are very nice. It’s great to see that they are continuing to improve the line and that you are handling Juki. Merry Christmas! Merry Christmas to you and yours. I do not have a Juki but would sure like one. Maybe some day. Merry Christmas Lisa! I love your patterns and you are so generous to us as well. Hope you have a fabulous day and new year! Love my Juki, I also use mine on a short arm quilting system. It works wonderful on it, also. You won’t regret making this purchase!!!! Hi Everyone, I have s Juki TL-2010Q and I LOVE ❤️ it!! It’s easy to operate and set your own pace with the speed control. Also, the deep neck space makes it easier to quilt. 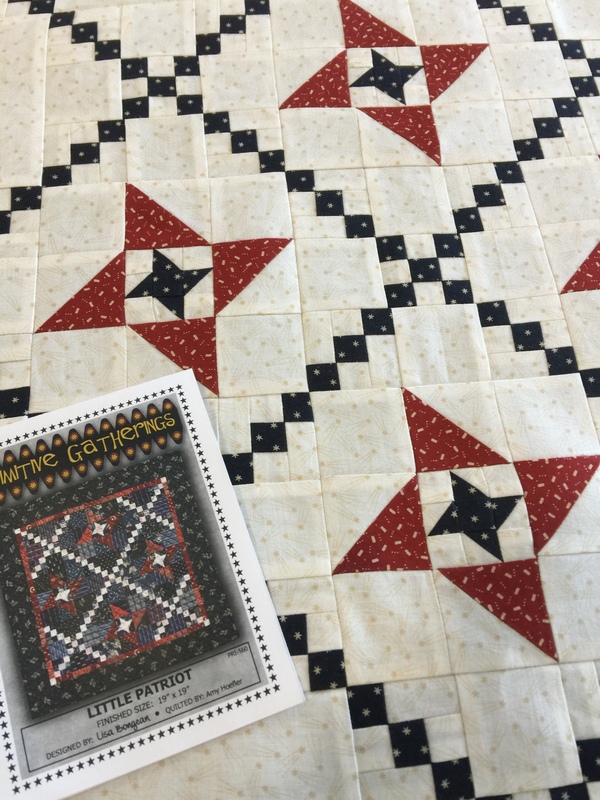 The tension is straight forward and only takes a little practice if changing density of fabric, such as piecing vs. quilting. I take it to all my classes. I also felt the price was affordable and worth the investment. I hope you treat yourself, you deserve it!! Merry Christmas to all you lovely quilters!!🎄. Hugs, Jakey. ❤️ my Juki, not only do I use it for quilting, I make flags for our high school band. The flags are made of Poly China silk and I use monofilament thread, my Juki sews this Fabric perfect. It is the best investment of all my machines. Thanks Lisa for introducing me to this workhorse. Merry Christmas and New Year Blessings to you and your wonderful staff! My Juki was purchased from Primitive Gatherings two years ago. I missed the sale, but after reading Lisa’s glowing recommendation, I bought it at full price and it absolutely is worth every penny and more. The stitches are perfect. I use it for piecing and quilting and mending and garment construction and anything else that happens to come up. . My Janome is feeling quite neglected even though I do use it for machine applique where more than a straight stitch is needed. And it’s true what Lisa says: if you sew on it you WILL be going home with it. The excellence of the Juki is just that evident. I could go on and on about the virtues of this machine, but instead I will just say : Bite the bullet and buy one. You will not be sorry! I bought this Juki in the sale a few years ago and I love it and use it every day. Last year I got the scant 1/4″ foot and love it, too. I removed the guard and just use the edge of the foot, so I don’t have to change feet when I do paper piecing. It comes off easily with that little screw, and I can put it back if I ever want it. Just another option for you. Thanks for the Merry pattern – I made a pillow for a quick gift. Merry Christmas! Every word Lisa said is true! I’ve had my Juki about four years & it’s the best machine I’ve ever used. I own 2 Vikings and LOVE my Singer 301s, featherweight, 66, treadle & hand crank….. also two Neechi supernovas (very cool old machines) but everyday I sew on the Juki. In fact, I’d like another one to leave at my sisters house to use when I visit! Merry Christmas & enjoy your new Juki! If your budget won’t allow this fabulous machine as a present to yourself, save your lunch money! I never thought I would give up my Berninas, but after purchasing a Primitive Gatherings Needful Juki last Christmas, I’m sewing faster and more accurately. (Love the 1/4 inch foot–it’s really that accurate.) I’ve stopped chain stitching, as I really don’t have to hang onto the threads when I start to sew, (even teeny tiny blocks); and the thread cutter eliminates the need to snip between blocks. For some of you who may be concerned…shipping across the country was a breeze. The double duty factory packing protected Jezebel Juki–she arrived safe and sound, right to my doorstep. And even though Primitive Gatherings is half a country away, I love the idea of supporting family-owned businesses. And if your lunch money savings won’t cover the cost of your own Jezebel, forego that double chocolate extra tall latte! 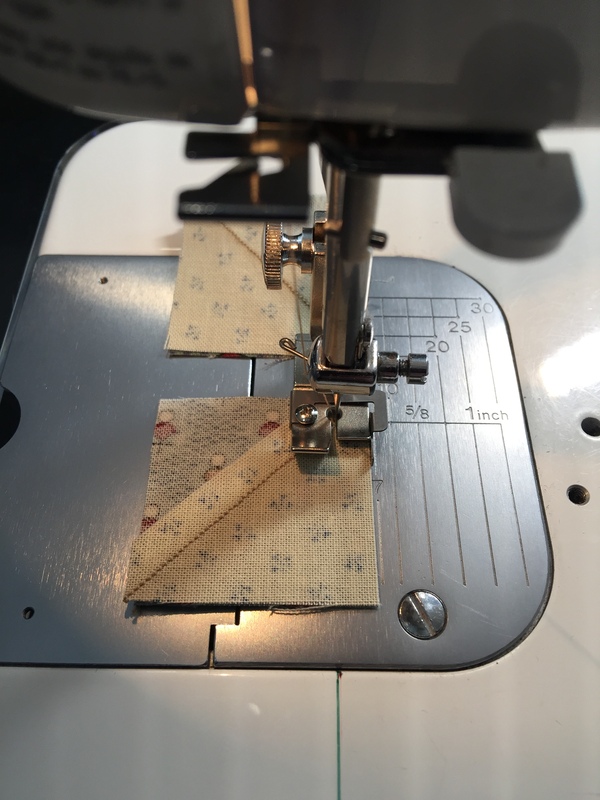 Love my Juki- bought it 4 years ago from Lisa – hands down it’s the best machine I’ve ever owned, and I’ve been quilting for almost 30 yrs and always had a Bernina and a Janome in my sewing room- now I will never go without a Juki in my life! I have had my Juki for a few years and loved the way it sewed straight stitches. Even my seams were accurate, which is no small feat. It gradually took over as my favorite machine, edging out my Bernina 1130. I finally decided that I should get a second one for our cabin replacing my older Bernina! Today I used its machine quilting function for the first time to do a table runner and was extremely pleased with the results! Love my Jukis!! I purchased a juki about a year ago with the intention of using it just for free motion quilting. It has turned out to be the machine I use every day for both piecing and quilting. I love it and next year I plan on buying a second so I can have 1 set up for FMQ and 1 for piecing. Merry Christmas everyone! Merry Christmas. Someday I may get a Juki! All sounds wonderful. Ok, I am going to start saving. You make it sound like a wonderful machine! Merry Christmas to you and yours! I have been looking at this machine for a year. My Viking needs a new computer board, sometimes it works and sometimes it does not. I do not need 100 stitch patterns and I have a Statler for quilting. Thank you Lisa for all you do for everyone in the quilting world. I have enjoyed the triangle gatherings. I’ve been reading about the Juki for FMQ for some time now. I’m so frustrated with the machine I have. It’s on my list to get one soon. I might have to consider sooner because of your sale. Thanks for all the information on it…definitely convinced me to get one. I purchased a Juki from Lisa either last year or before. I agree 100% with everything Lisa told you in her post. I absolutely my Juki. I love everything about it, but I really like the lock stitch and the ability to cut your threads hand free. And then you can take right off, and start sewing without having to make sure your threads are both there. It saves so much time! It runs so smooth, the stitches are perfect, and like Lisa, I can’t say enough nice things about it. I too have several machines, but the Juki is always my go to machine. She’s not spoofing you folks, I couldn’t be happier with mine. Merry Christmas Lisa, and I hope Nick continues to mend. Last year I bought one of the juki’s, which I named Ethel. She is incredible, even makes me look like a master quilter. While doing some of your half square triangle blocks I loaned daughter Amanda my Ethel after she was having trouble sewing accurately with her little brother machine. She was so happy with the results I think she is going to order on from you!! It really does make a difference. I can’t say enough about what a fantastic machines these are. Thanks. I purchased my Juki from Primitive Gatherings two years ago and I absolutely love sewing on this machine! I was a little intimidated at first with the threading but I can easily do it now without referring to the manual. I purchased the scant 1/4 foot at the Houston Quilt Show and love it too. I love my Juki machine, purchased from you. It is sturdy, fast, dependable, all the things you mentioned. I get very intimidated by my friends’ machines that do embroidery, etc. I just want to sew! I have the 1/4 inch foot and it works well. I’d love to have the open toe foot! Some lucky soul is going to win a machine- that would be so awesome. Lisa, thank you so much for all the free patterns you provide, they are used and appreciated more than you know. Thank you again. I bought a Juki 2010 Q from Primitive Gatherings 3 Christmases ago. I Absolutely ❤️ it! I also have a Bernina Quilting Edition, But I haven’t used my Bernina since I got the Juki. It does everything a quilter needs it to do. Without the complications. You’ve got your quarter inch foot, free motion quilting feet and walking foot, needle up and down button. 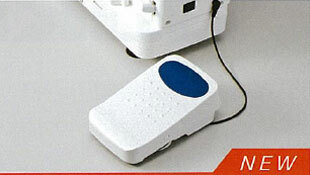 The foot pedal will even cut your threads for you if you press your heel down. And, you have a stitch speed button. Simple to operate and maintain and you don’t have to worry about magnets messing the computerized innards up ( because it is mechanical!) I love this machine! I’ve considered the Juki the last couple years for all the reasons you mention, Lisa. this is the year! Thanks to all who commented that own this machine, very helpful too. Thank you for all you, your family and your team do for the quilting community. Merriest Christmas to you and yours! I have 2 berninas and I love them. But I worked in a bridal gown factory years ago so I NEED speed. And thread cutting. And I told Gary if the house is on fire to get the cats and the kids and I will meet him by the oak tree with my JUKI!!!! ( seriously..the kids are older now. Like 37 and 40 and married. And the cats would pass us like a fast freight. ). I LOVE my JUKi and I don’t want to waste time on anything else anymore. And NO one has a better deal. Get em while they are HOT! I would be overjoyed if I had a Juki. I have heard so many good things about them. I absolutely could not live without my Juki. It is almost painful to sew on my other machine, which I sometimes use for the buttonhole stitch for appliqué. I cannot wait to get back to the Juki. It sews like a dream. If you don’t own one yet you should consider getting this! This annual offer is the best. Have a friend who swears by this machine, one day I will have one too. Merry Christmas to your family and thank you for ALL you do! 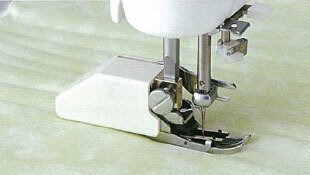 I LOVE my Juki, and the only thing that could make it better is to have the front open toe foot for quilting! This machine should be on every quilter’s Christmas wish list. Merry Christmas! I bought a Juki last year after your Needful things post. My sewing friends thought I was crazy to buy a machine sight unseen, having never sewn on one before. I just love it!! It was easy to figure out how to use it from the manual. It’s wonderful for free motion quilting – the tension is perfect every time. I just finished quilting a extra long single bed quilt for my son and the larger opening makes the bulk of a large quilt easy to manage. I’m going to try a queen size quilt next. I like it for piecing too but I ordered a 1/4 inch foot with no guard on it so I don’t have to switch the foot for making hst’s or 4 at-a-time flying geese. I’ve been so very happy with my Juki – I’m so glad you posted about it in your needful things last year! Blessed CHRISTmas to you, your family & Primitive Gatherings staff, Lisa. I’m blessed all year by your sharing of tips plus new products and patterns. No JUKI for me this year as I already received a “new” machine in 2017 (my paternal great-grandmother’s Minnesota Model D treadle, which she purchased from Sears in 1905 as a newlywed). I searched for and obtained needles, bobbins and a copy of a manual after refurbishing it, so it is now ready for my new year of quilting. I also own my “use all the time” all-metal White Zigzag Model 568 plus a rarely used White serger as well as an older model straight-stitch electric that belonged to my maternal grandmother ~ I hope to fix her machine in 2018 so that I can finish a quilt which I inherited this summer ~ one that she started prior to her death in 1943! There is really no more I can add to Lisa’s Juki blog offering except, since I’ve had mine (last Christmas) I’ve not used either of my two Berninas, both of which I love. I’ve spent a year madly piecing on the quick reliable Juki, next year I will quilt the tops, and then I’ll be doing embroidery on some of the tops with my 630. My sister has my 1260 on loan… while I enjoy my Juki. Sure would love the open toe foot, though! Would be great for quilting those tops. I bought mine last December and love, love, love it. I bought it as a secondary machine but it immediately became my go to machine. It has a beatiful stitch and I don’t know how I ever made it without the thread cutter. I can now quilt really big quilts – I love all the space to the right of the needle! Also the quarter inch foot is wonderful- it gives a perfect 1/4 inch seam. Lisa, and your shop family and home family: Merry Christmas to you and many good wishes in the New Year for future successes. I will continue to support your business and thank you very much for all the free patterns and wonderful advice. I simply can’t express my gratitude for your gifts of sharing your talents! I do not own a Juki but would love to try one. I’m also wondering if the Juki scant quarter inch foot would fit on a Brother machine, but I doubt it…Merry Christmas!!!! Merry Christmas to you and yours, Lisa!! Thank you for all your inspiration!!! I have had a lot of health issues lately and am unable to buy a Juki this year. I will certainley ask Santa for one next year. Hopefully it will be on your Needful Things List 2018. Have a wonderful Christmas and New Year to you, your family and your staff. I absolutely LOVE this machine! I managed to finally purchase one locally, after coveting the machine from afar (I live in Australia), and it took some time for it to be available here. It is by far my favourite machine I have ever stitched on-complicated and reliable. Thanks Lisa for recommending this machine, and wishing you and all those close to you, the happiest Christmas. It was a highlight of my trip to the US to meet you and visit your amazing store! I am a vintage girl and have alwsys done all of my quilting on my old White treadle machine , until, that is Juki came into my sewing room as a gift from my husband. It is not the Juki 2010Q1 but one of the Exceed series that I can use for garment making too. We did not make friends easily. I stared at the 300 something stitches proudly displayed on the little screen and felt woozy. But, once I started sewing one of my patchwork projects I started to get won over. It has button that I can push that automatically does my scant 1/4″, stitches either slow or fast with tthe slide of the switch and magically cuts the threads when I am finished. I totally fell in love when I no longer had to squint to thread the needle nor strain my eyes from lack of lighting. I still use my old vintage machine so that it doesnt feel left out, but Juki is one of the dreamiest machines that i have ever used. Thank you Lisa and staff for your hard work. Your dedication to supplying beautiful projects has helped me through a challenging year. It’s Christmas Eve and I have had a beautiful day. My wish is that you, too, have enjoyed every moment of this special time of year. I want to thank you for continually enriching my life with your talent and your wonderful staff at Primitive Gatherings. Jessica is an absolute dear and Judy has more than once unraveled shipping or ordering situations that have puzzled us both. Nick has actually recognized me at the various quilt shows and you have been most gracious at those busy times. I have to admit I was skeptical about how amazing this simple machine could be until my mom ordered one last year. I used it this past October at a quilt retreat. I was working on making 11 Christmas present table runners using the awesome triangle gatherings blocks Lisa has been posting. My sewing machine is an inexpensive brother I have used for 9 years. I have liked this machine but it is just not accurate for tiny pieces. I was sewing charm packs in Christmas fabric into the PG triangle blocks and they just seemed off. Two of these gifts were for quilters and I was already thinking I could not give them to the quilters. I wish I could put a picture up. I sat down at the Juki and started working again and the difference was stunning- the blocks were perfect with no stress and probably 3/4ths an inch smaller. I had never touched this machine before and we all know how hard it is to start with a new machine. I cannot tell you how shocked I was. I borrowed my mom’s machine to take home to finish the gifts. Now I have three children, 10, 8 and 10 months, plus I homeschool. Planning to work on anything at home is just silly. Added to that I injured my knee later in October and cannot use my right leg for much more than standing. 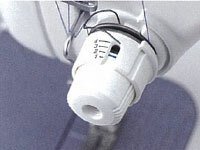 I plugged the Juki back in at the beginning of December feeling frustrated about my aborted Christmas presents. I tried sewing using my left foot, which I have never done before, just a creature of habit I guess. I used every spare moment I could sneak to finish 8 of the 11 runners, with my left foot. I cut the thread a few times unintentionally, but this machine is amazing. It worked perfectly and accurately with out stress. The tension was always perfect. I have enjoyed my brother, it was $150 with tax brand new and has performed admirably for such an inexpensive machine. I have wanted to purchase a new machine for a long time but the cost and not wanting to make a poor choice has made it a difficult decision. Tonight I am going to buy my own belated 40th birthday present and I am so excited. I know my mom wants Ethyl (that’s what she calls her machine) back. My surgery is just before New Year’s and I cannot wait for my new machine to arrive. Again, I wish I could post pictures of the difference in accuracy and precision, if you are on the fence, this machine is the right choice. Happy quilting!! I have had a Juki for nearly a year and I am so looking forward to getting back to playing with her once the holidays are over and the kids are back in school! I love, love love her! I had an older fancy Bernina but the computer was going on it and I wanted a reliable work horse for piecing quilts. Enter my darling Juki and I couldn’t be happier with her! Excellent machine and a joy to use. I was so hoping to be able to get this machine this year but life has happened. Sounds like the kind of machine I need. My girlfriend ordered one from you last year and loves it. Thank you Lisa for sharing your life and projects with us. I love everything you create, you’re sew talented! Can’t wait to see what new things are to come in 2018. Have a Very Merry Christmas and a Blessed and Happy New Year for you and your family. I love my Juki 2010! It sews so smoothly and steadily. Rarely do I have to adjust tension and it seems to sew with any thread I may want to use. I didn’t know there was a scant 1/4″ foot. I will need to investigate that. I could really go for the open toe foot for quilting. This machine sounds amazing! It would be a wonderful Christmas surprise! I’ve had my Juki maybe 3 years now? First , Linda got hers, then Kathy. Not me tho. I’m a die hard Janome fan. But I caved to peer pressure, and guess what, I freakin love this machine. You are right Lisa. I still love my 6600, but this Juki is special. It is indescribable.. it’s smooth and consistent and quiet. It’s strong and silent, I love my Juki, I wouldn’t trade it for the world. One of the best investments I’ve made. Thanks LB. I bought a Juki this year and have put it through some serious quilting. It’s the best! Goodbye old machine you’re too slow and noisy! Love love Love the Juki! It looks like a marvelous machine! I’m not sure how you have the energy to do all the things you do, that to is a marvel! Keep up the good work, we all appreciate you! Merry Christmas! Thank you for all you do for the quilting world. I don’t do much online ordering but I always visit you in Paducah and Madison. Merry Christmas! Merry Christmas Lisa to you and your family. This machine sounds awsome. I looked at this last year and again this year. What a great prize for the lucky winner! Would make a perfect retirement gift-one of those to-me-from-me type gifts … could start on all the projects piled up in my closet waiting for to get started. Happy Holidays to All. Thanks, so much Lisa for everything. I enjoy reading your Needful things and wish I could buy a Juki – maybe one day. I’d sure love a Juki too!! My daughter has a Juki serger that belonged to her mother inlaw. She passed away years ago but let me tell you!! That Juki serger is still going strong!! I LOVED it when I used it! I really enjoy reading all you do!! Thank you for every thing Lisa! Was going to buy a new Bernina – mine is from HS back in the 70s. Bought a Juki from you last year and it has been great! Only use my Bernina if I have to zigzag or make a buttonhole. Merry Christmas! I do own a Juki….an old one. It is in my basement and I only use it to quilt small quilts on a Handy Quilter. I am by no means a professional quilter but it does the trick for those lap quilts I make, or baby quilts for gifts. Having an updated Juki to quilt with would be amazing! It is a great machine and works like a charm! Merry Christma ps to all PG staff and customers. Thank You Lisa for all the time you put in to the Needful Things posts…my shopping list is complete, and placing my order right after the holiday. Merry Christmas to you and your family. Thank you for sharing your “gift” with us. Thanks Lisa for all you do for the quilting world. Have had the pleasure of taking a couple classes from you at Cousin’s in Bellaire MI and at Mackinaw Island and have been following you for years. Finally purchased my Juki from you last summer and do love it. The bobbin winder was off a little and the repair guy was very helpful over the phone directing me for an easy fix. The Juki sounds like a wonderful machine for those of us who enjoy precise piecing. Merry Christmas to you and your family. The Juki sounds like a perfect machine and would so love to own one! I now own 2 Janomes, Pfaff, and a featherweight but would like to add a Juki to my list. Thanks for all your designs and all that you share with us. Merry Christmas and a happy new year! I am purchasing the Juki! I am somewhat nervous because I have not sewn on one. I have a Viking 500, that I bought in 1999. It has only a 7” bed and is difficult to quilt on. I would like to use it for machine appliqué. Once I get the settings correct, I do not want to move them to piece. Thank you, Lisa, for offering this machine and a chance to win. Your creativity is second to none and I appreciate Your designs, patterns and sew-alongs. Visiting your ship is on my bucket list! Merry Christmas to you and your family! Merry Christmas! I do not own a Juki but from the description I need to put it on my wishlist. Sounds like it sews like a dream! Thank you for all you do for us fellow quilters! I love my Juki—I bought it after reading this blog and took Lisa’s advice….it is wonderful and everything Lisa says it is…I need to get the quarter inch foot still….Do yourself a big favor and get this machine–my other machines seem so cheaply made now…..Thanks for the chance to win a foot….Marry Christmas…. I purchased my Juki used and love it. It is by far my favorite machine as I have Bernina, Pfaff, and two featherweights. Maybe in a year or two I will spring for a new Juki as I have a TL98 and it keeps going and going with no complaints. It sounds like I need to start saving my $$ to purchase one next tear. I have heard so many positive comments from some of my friends and the raves from Lisa. Merry Christmas Lisa. I so enjoy yoyr 12 days of Christmas every year! I’ve been looking at this machine for years . . . saving my money. Here I go! Love, love love my juju and will have to get the new scant 1/4″ foot. The machine never hesitates. And it is fast. I’m sure it is why I get so much done. I LOVE my Juki! The first year you offered them as a Needful thing’ my sister ordered one. Of course she loved it and couldn’t stop singing it’s praises, well that’s all I took for me, and I of course had to get one too!! Well, I’ve never looked back! Every time we retreat, someone asks us about them and of course we tell them where they can buy their own, at Primitive Gatherings. We have both discovered the scant 1/4 inch foot and it has changed our lives! Frustration over inaccurately sewn 1/4 inch seams is a thing of the past! So happy you continue to offer them every year as a Needful thing, so others can ‘come aboard the Juki train ‘ WooWoo!!!!! I love my Juki, you want be sorry if you purchase this machine. What I love most about it is how fast it sew’s. Before the Juki I was sewing on a Jamone, which I still use when I want to do some machine Appliqué, which I really prefer to do by hand. I’ve not done much quilting on it because I’ve got a Longarm for that but I believe I would enjoy quilting small quilts on it. So one of them open toe quilting foot would work great. Thank you Lisa! Love, Love your work, sew alongs. Merry Christmas! 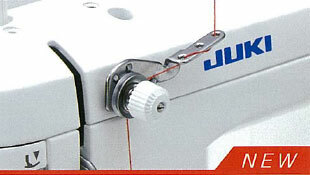 The Juki sounds like a wonderful sewing machine. Maybe I can get one next year. Thank you Lisa for all you do for us. I truly appreciate it! I was able to travel to your Wisconsin shop this last summer and your staff is truly special. Merry Christmas Lisa! I started reading your blog this year and am loving it. Your photos are beautiful, too. I have ordered the Juki, read the comments and everyone loved the machine, they made my decision easier. Thanks Lisa for all your contributions to the quilting world, we are blessed to have your WI shop near where we live. Happy New Year. I have been following your blog and Primative Gatherings emails for a long time. I do at times when I am in Wisconsin get to your shop and I love it. Wish you could open one in Florida by me. Every year I ponder whether I should take the plung and order the Juki. I just read all of the reviews and I am sold. I own a 40 year old Viking that has been a work horse for me. It has sewn many outfits for myself and daughter throughput the years. It was always fun having fashion that no one else has. Those sewing days are over but it has been replaced by quilting my new love. I always said that when I retire I am going to invest in an expensive machine like a Bernina. Well I retired seven years ago and it never happened. Now I am so glad I never invested in that machine. Now to celebrate my 70th birthday I am going to order the Juki. My husband said go for it (love that guy). Thank you for all of the inspiration you have given us all. Your dedication to the quilting industry is amazing. Sometimes I think you must be the Energizer Bunny with all that you do. Merry Christmas to you, your family, and the great staff at your Menasha store. Wishing you a happy and healthy New Year. I’m so excited!! I’m ordering a Juki this year!! But I have a question….does the “scant 1/4” foot come with the machine or should I order it also?? This is soooooo exciting……I have wanted one ever since you first posted about it!! Thank you for the great sale and free shipping!! I LOVE my Juki! I bought mine 6 years ago and use it with my John Watts quilting frame. It was the perfect alternative to purchasing an expensive long-arm. It sits on the moving carriage frame and works great! Always smooth, nice stitches, great tension with little to no effort and is easy to change bobbin and thread. I always intended to save and purchase a long arm system but no need. This industrial Juki is great! I also take it off the carriage and use for piecing-perfect straight stitch!! Don’t hesitate if you are on the fence-this machine will last forever just like the Featherweights of old. Thanks for offering it, Lisa! This sounds like a great machine. I have been wanting one for a long time. To have a Juki that has a scant 1/4″ foot would be great. Just think of all those little half square triangles. The comments from quilters help me made my decision to order a Juki, looking forward to stitching on this machine. 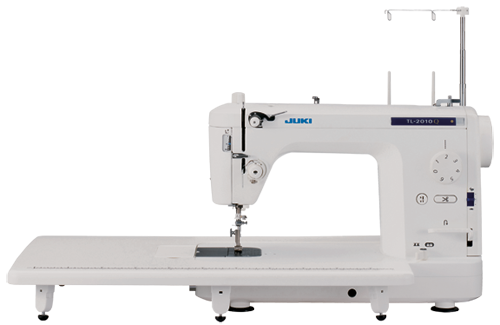 Have read some of the comments it help make my decision, I will be ordering a Juki, looking forward to stitching on this machine in the new year. I wanted one last year and held back….I have always used a Bernina and been pretty happy with them. I take my FW to retreats and getaways….not as much love with accuracy on the little fellow. Saw you sewing with this guy at the Spirit of Christmas retreat….those tiny blocks of perfection! I feel myself caving….Just stopped working. Why didn’t I do this last year?? The struggle is real!! Thanks for the great info and keeping it real!! Happy New Year!! I bought my Juki locally in Orlando. It is the best machine I have ever had. I thought I would only use it to quilt with but it has replaced my Bernina for piecing also! I would highly recommend this machine. I ordered mine! I’ve been dreaming about it for over three years! Can’t wait for it to arrive! Thanks for offering such a great deal! I am confused. On your blog description of the Juki you go back and forth between the 2010Q and 2010Qi. On your order form it only shows the 2010Q for $899. As I understand it, the 2010Qi is an updated machine with the latest features. If I order a machine, which one will I get? Thanks. Lisa, I have been hearing wonderful things about the Juki, and your informative post has sealed the deal for me. I sew on a Viking, but I would love to own a Juki. And I would prefer to purchase it from you rather than online. Not sure how soon I can afford it, but a Juki is definitely in my future. and a new year of sewing. Thanks for sharing and all your inspiration. Happy New Year to you all! I absolutely love my Juki. Every word Lisa said is so true. If it had a zig zag i might even put away my Bernina that i love. I always use tge Juki for piecing. Love it!!! Thanks Lisa for sharing the 12 days of Christmas! Always love to follow along. Setting my sights and my budget for a Juki next year! Happy New Year! I am saving my money so I can order a Juki the next time you offer this great buy. I love all of your projects and appreciate all the ideas you share so generously with everyone. Your blog is so entertaining and I love to see what you and the little man are up to! Reminds me of good times spent taking care of my grandchildren before they started school. Happy New Year to you, your family and staff. I’m convinced I need one of these Juki. I like to sew weighted blankets, but even my heavy motored Bernina can’t take the wear and tear of those blankets. You describe this Juki as industrial. Will it handle the tough stuff? I will see if my local sewing shop carries this machine. If not, I’m coming to your retreat center in WI in April. I’ll purchase from you then. Thanks! Just ordered this Juki from you, Thank you! I’ve been dreaming about getting a Juki since I first saw it on your Needful Things and I decided to go for it this year. I’m so excited to get it and get all my “projects” done and I’ve been interested in sewing some leather projects and think this machine will do the trick. Thank you so much Lisa for your wonderful contributions to the world of quilting and sewing, I love all your ideas. Merry Christmas and Happy New Year! Your Juki looks to be wonderful!! I would love to have one and may just order that scant 1/4″ ft anyway if shank height would accommodate my current machine. Thanks for a great year Lisa. Happy New Year! I would so love to purchase this machine! But can’t do it this year! I am hoping next year will be the year I get to purchase a Juki! Thx Lisa for all that you do for us quilters!